Nurture Your Astute Nature with Ahana. "As One Is Liberated, All Are Elevated!" The kit is "Your Soul's GPS" (Guidance Provided by Spirit). Compact and convenient, your guidance will be at your fingertips wherever you go. Develop your natural INTUITIVE abilities. It's EASY! It's YOUR BIRTHRIGHT! It's what YOU are meant to do! Transform Your Life & Get the The Kit Today! the place for learning, healing and self-discovery. Come take our Intuitive Development and powerful Energy Healing certification classes with our Master Instructor. 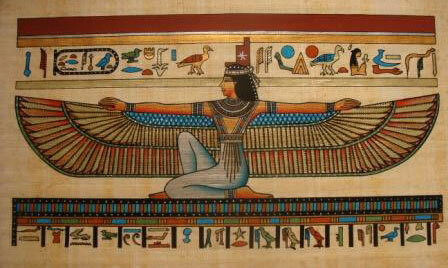 Goddess Isis who has a vested interest in our Spiritual growth. She is a powerful Goddess known for protecting and guiding us with her strength and wisdom. Her divine light shines into our hearts, helping us to expand our intuition. As the Channeling & Feng Shui Kit is designed as a tool to help you expand your intuition, it is appropriate that it be dedicated to the Goddess Isis. It is an essential tool on your individual Soul’s Journey for Enlightenment, Truth, and Peace. A simple technique that EXPANDS YOUR NATURAL INTUITIVE ABILITIES, teaching you to communicate on a deep and profound (soul) level with others. the POWER WITHIN YOU for yourself! 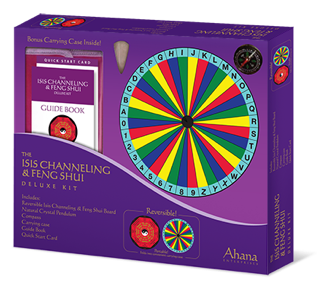 The Isis Channeling & Feng Shui Deluxe Kit™ is an Amazing Gift from Spirit that will instantly spark your personal transformation to the higher energies. Mary Louise Schiavone, the kit creator, was guided to present the Channeling Kit with Feng Shui as both modalities involve tuning into subtle energies. When practiced together, each technique enhances the other. 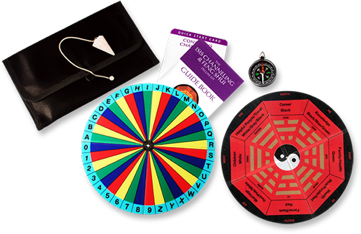 The unique kit design provides a convenient “GUIDANCE ON THE GO” tool for practitioners of all experience levels.